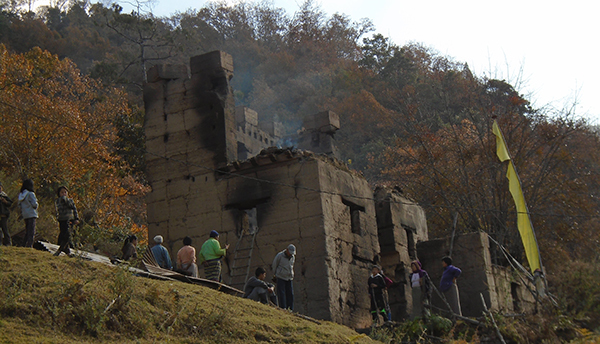 A two-storied traditional house in Thomji Village under Punakha was gutted at about 2:30 PM, yesterday. The owner was out of the country for pilgrimage when the fire broke out. Shelnga-Bjemi administration officer said since the house is located 200 meters away from the road head and on a steep slope, containing the fire was a challenge. They could not save any belongings. The insurance officials visited the location to examine the damage, today. Neten from the Royal Insurance Corporation of Bhutan said the house is insured and the owner is entitled to a compensation of Nu 200,000. 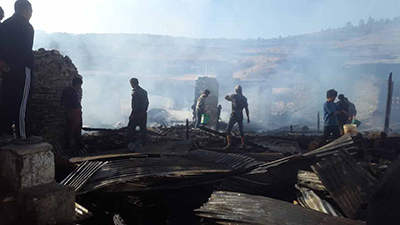 In another incident in Ura, Bumthang, a house was razed at about 1 in the afternoon, today. The house, located near the Ura middle secondary school, belonged to four supporting staff of the school. No casualties were reported but they could not save any belongings. Ura’s Mangmi, Karma Wangdi suspects the fire could have started from Bukhari, which is kept on all the time, to keep the house warm.